Alterian adapts to your customers’ unpredictable behavior by personalizing their experience in the moment no matter where or when they interact. Alterian’s Campaign Manager is a fully centralized product suite for visualizing, creating, managing and optimizing all of your automated campaigns. Using Chameleon™ Alterian helps you can create an adaptive customer experience that naturally improves during every single interaction. Direct dispatch through your Alterian email service means not only will your SaleCycle campaigns come from your own domain, but all reporting, is also available on your Alterian dashboard. While SaleCycle offers robust campaign result reporting, this allows you to see all of your Email data in one place. 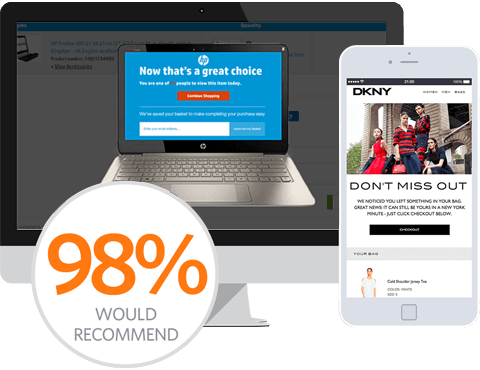 Our partnership has enabled us to work together to ensure your customers receive the most relevant message at the exact moment they are making their purchasing decisions. Deliver real-time messages that correspond with your customers online behavior. Dispatch timely and relevant remarketing emails through Alterian netork.